It has been difficult over the last few days to fit in work without being distracted by the hourly update of news from Westminster. It has equally been difficult to know at which point in the day to jot down these few ramblings to sum up what has happened – as it all feels as though it has changed by the time I can sit down to write. This morning I thought I would turn my attention to the Leadership battle in the Tory Party, as this I’ll have the most profound impact on us immediately as their ‘leader’ also becomes our new Prime Minister wit responsibility for negotiating our #Brexit from Europe. Over the next few days the number of MPs with enough nominations to get onto the ballot paper will become clear. Already we know that Boris Johnson and Theresa May will probably be the front runners for the number of nominations from MPs. 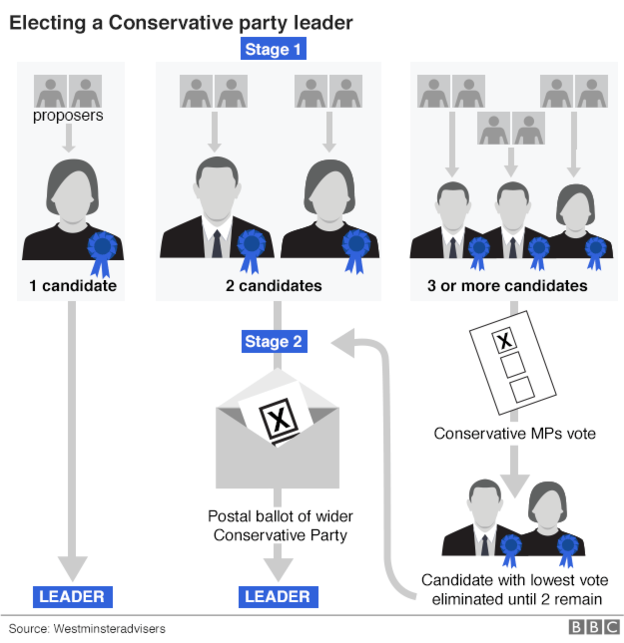 The electorate in the first instance will the Tory Parliamentary Party who will narrow down the runners to just two MPs to go forward to a ballot of the wider 130,000 members. Our future is being put in the hands of this group of people. On top of Johnson and May we have already seen a rugby playing friend of mine Stephen Crabb MP put his hat in the ring with a very public launch today. In politics it often being in the right place at the right time. For Stephen this leadership campaign has probably come a little too soon. A few of his colleagues are quietly impressed by him but wanted to see him grow in the DWP portfolio to get the measure of him. A few saw it as their job to have I’m as the One Nation candidate hen Cameron stood down in 2019. You can’t plan what happens in politics so Stephen has had to enter this battle probably 2 years before he wanted to. 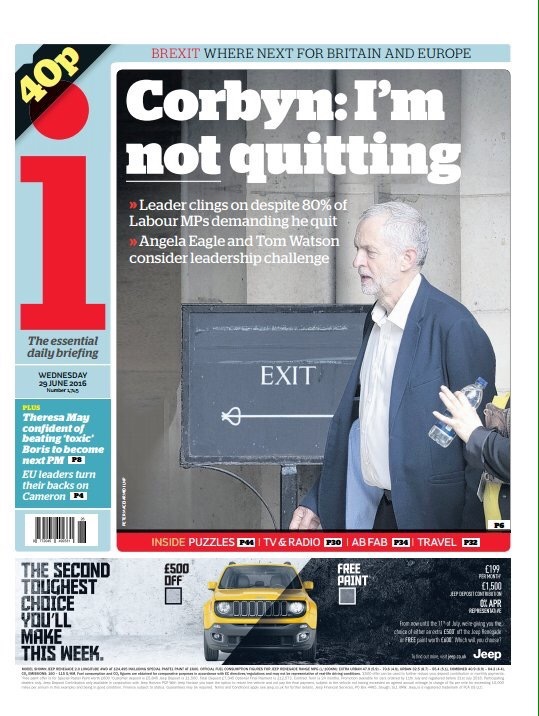 The other thing that always amazes me at this stage in the ‘pre- running’ phase is how many MPs are prepared to think they should have a shot at the Leadership. In the past I remember being sounded out by a really strange mix of people to run for leadership roles within the PLP and at times even for the leadership of the party or deputy leadership. I often found it difficult to not sound so dismissive. Today that moment came when I heard Jeremy Hunt and Nicky Morgan were likely to put their names into the battle ahead. Now I know I worked with Nicky on a cross party basis just ahead of the EU Referendum, but the idea that she thinks she has the skills to be Prime Minister shows a lack of self awareness. The Mae goes for Jeremy. Over a few issues around sport and health I got to know him and find him pleasant. I know junior doctors and many in the NHS wouldn’t share my view. I am not sure who is advising him (actually I do know his SPAD) but sometimes I wish they were a little more honest with their friends and explained they shouldn’t run for their own dignity. Others likely to enter the race or taking soundings include John Baron. Who I can hear you say. Precisely. If he has friends they will surely tell him not to bother. It is possible that Andrea Leadsom may enter the race after a few semi decent performances during the referendum campaign. That’s all it seems to take these days. A level of competence on NewsNight or a TV debate and suddenly you are Prime Minister material. It does seem that Liam Fox is having serious thoughts about entering the race. He is probably past his best and missed his chance when being forced to step down from the Cabinet some years ago. As I said at the start – it’s impossible to fully plan a political career. Just 12 months ago George Osborne would have thought the crown was his. He probably wouldn’t even make he ballot paper now e has become so toxic. I can’t say I am too disappointed. So early predictions. At this stage Johnson and May are the front runners. Johnson has gained a lot more support than I imagined as he is not that popular amongst his colleagues. I had an office on the same floor as him in Parliament. I don’t think he could have ever been there and certainly never passed the time of day with me or my staff. But leadership elections don’t always go to plan. Cameron’s came from nowhere to win the Tory leadership. There were not many who predicted the Corbyn surge last year. I suspect there are a few twists and turns and a few surprises before we get to learn who our new Prime Minister will be, and therefore I’m not going to make any from predictions just yet. The Labour Party cannot be accused of being quiet today either. All the MEPs have signed a letter asking CORBY to go, as have previous labour leaders, Beckett, Brown and Miliband. It sounds as though Corbyn even refused to talk about the situation with his deputy Tom Watson during a shared car journey to a Polish centre today. PMQs for anybody who saw it was excruciating. Corbyn was heard in silence from his own benches. If it is true that Angale Eagle is willing and able to form a challenge tomorrow with backing from 51 Labour MPs the phoney war is over and a full on contest will start. If that is the case I may have a busy day tomorrow working out how this will all pan out over the summer. At this stage I fear it could end in the disaster of the demise of the Labour Party.